I've been at it again, making book covers and lots of them. 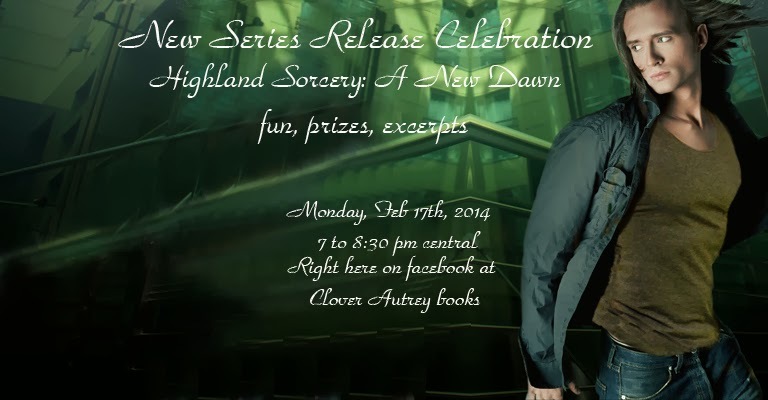 Four to be exact for my newest series A New Dawn, a continuation of the Highland Sorcery series. Anyway, here's the picture I used for Alexander. I just love the way the photographer Konradbak captured him in motion...and the intensity on his face is perfect. The only thing I don't like about this is that he's shirtless. It doesn't fit with the brand of my books, which are more action and behind-the-door snogging, less skin. And since I don't want readers expecting something they aren't going to get, I try hard to keep everyone clothed. So the next step before I bought the picture for use was to see if I could find a shirt to cover the poor guy up with. 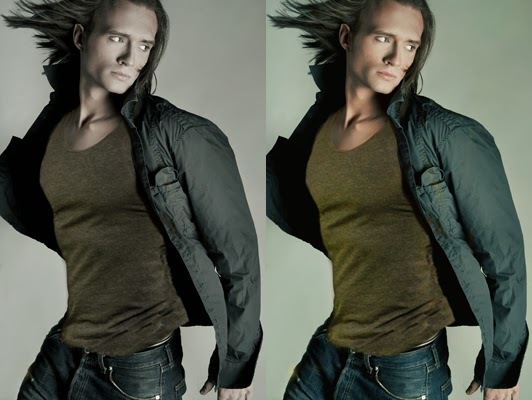 I found this picture with the model's body turned in close to the same position. So now I have the two pictures. I overlaid the shirt picture on top of Alexander's picture, sized it to fit, tilted it a bit to fit more, and then used the eraser tool to erase everything on the top picture except for the shirt. I also had to get a little creative with the cloning tool to fill in more of the shirt color where I erased the shirt guy's arm which took out some of the shirt. (Weird sentence. As a writer I should do better, but as a lazy person this moment, I'm going to leave it.) The bottom of the shirt is a bit fuzzy but the words will camouflage that a bit. Not too mention it draws the eye up to the face since it's more in focus. That's what I tell myself anyway. So now I have a shirt on Alexander. But he's kind of gray. So I saved the picture into one layer and then used the saturation tool to pull up more color. He's just about perfect now, except I want a different background. Kay, I cheated a little here by using a background I already had. 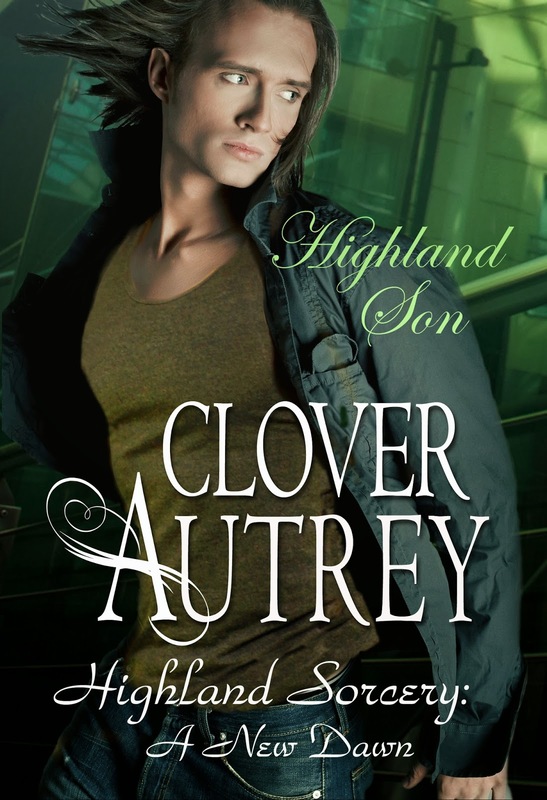 I loved the greenish building scape cover for Highland Shapeshifter. So I pulled up that original cover (I already own that picture for use) and cropped a background out of it from the left bottom corner below her arm. So now that little piece will be Alexander's background. Once that photograph was cropped and sized for the background layer, I overlaid the saturated picture of Alexander over it and went to work with the eraser tool, enlarging it to work to make sure I erased around every strand of hair very carefully. It's painstaking work, but worth the time and effort. So here he is. He, of course, is missing an arm because that's where the original picture's edge cut off. So that is obviously going to be where I crop it for the ebook copy. I saved this version to be able to use some of that for the back cover when I work on the paperback jacket. So after cropping and adding the title and author name (moi), which takes only a few minutes because I already have a series template saved so that all the books in the same series are uniformed. Now, to move onto the cover for the paperback. The trick there is knowing how large the spine needs to be depending on how many pages (or how fat) the book will end up. Once I knew that, I got to work. I had to add a little more to the back cover because what I had cropped out of Highland Shapeshifter didn't go all the way to the edge. So what I did was take the photograph (two pictures up) before I added the words and flipped it horizontally into a mirror item. 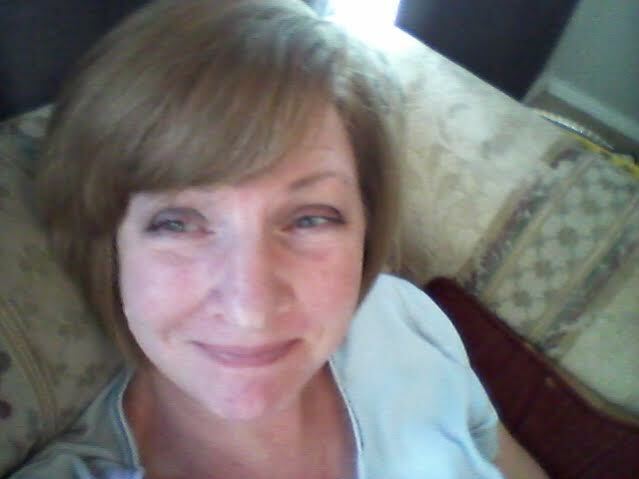 Then I slid that along the edge of this picture. If the bigger was larger, you'd see a mirror version of Alexander on the left side. 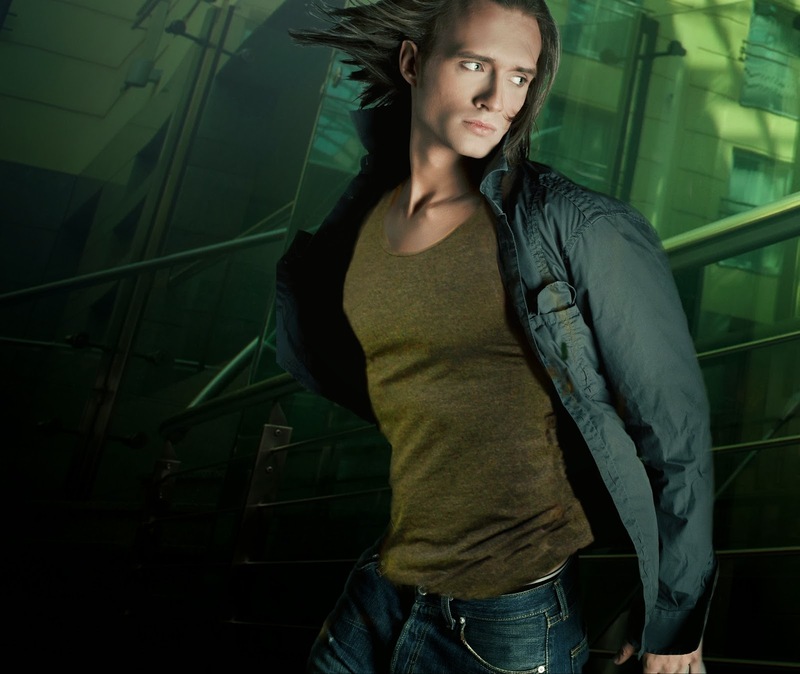 In fact I had to use the cloning tool again to paint part of his jacket out. If you look closely you can see the line where the two pictures meet. So, don't look that closely. Well, okay, go ahead. And remember how I said I made 4 covers? Well, that's because I wanted to put all the series covers on the back cover jacket. Cool, eh? I learned that trick from my friend Suzan Butler, cover artist and author extraordinaire. She knows all the neat things to do. But then I thought, "Hey, since I used the same background on two covers, they should match real well." Since I was playing in photoshop anyway, I decided why not update my blog. It's been a while anyway. So I meshed the two covers together and came up with the new heading above. I'll stick it here too for when I decide to update it again. Anypooh, that's it for now. 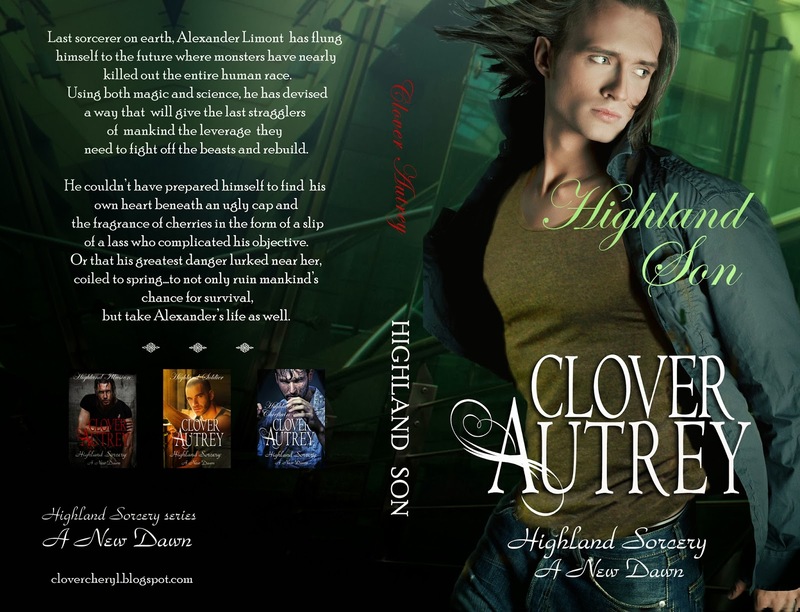 Highland Son, Alexander's book, is for sale on the kindle and also for sale on the nook. It's at all the other retailers through Smashwords. The paperback is in review and will be ready for purchase at Amazon and Barnes &Noble toward the end of next week. And in case you are wondering, I'll be posting the transformation of the other three cover photos within a few days. Wow! Are you good! Do you do that with Photoshop? You are the most amazing author/cover designer I know! Beautiful work, Miss Clover. Thanks gals. Yes, I did this one all on Photoshop CS3, but I also use Smart Photo from time to time. Sometimes both together on the same photo, depending on what I need done. My husband really likes Sagelight though I'm not that good at that one.